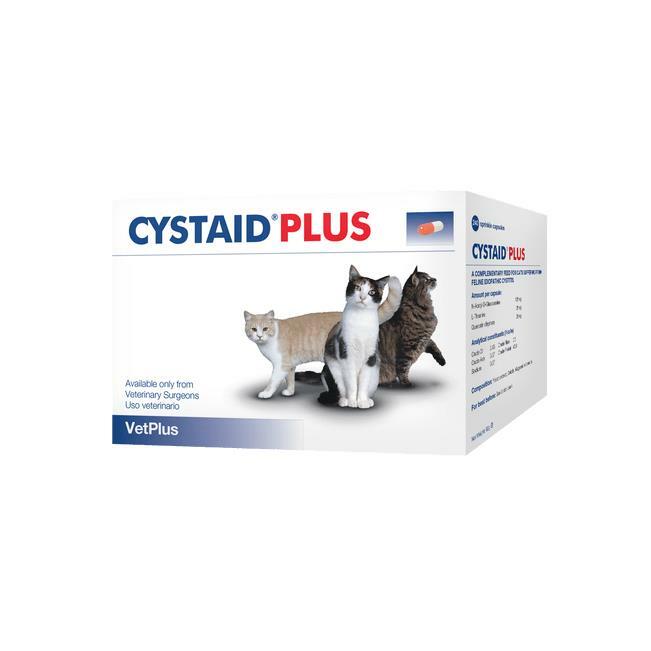 Cystaid Plus Capsules - 240 Pack is a nutritional supplement for the management of lower urinary tract function in cats to help maintain a healthy bladder. Cystaid Plus Capsules are a complementary feed for cats suffering from feline idiopathic cystitis and lower urinary tract disorders. It also helps protect and reduce painful inflammation of the bladder in cats. N-acetyl D-glucosamine which helps to replace and maintain the glycosaminoglycan layer that lines and protects the bladder mucosa. Cystaid Plus is presented in capsules and can be used for short or long term support. The capsules can be opened and mixed with food, or given whole. Unless otherwise directed by your vet, capsules should be given twice daily for the first 3-4 weeks, then once a day if long term supplementation is required.